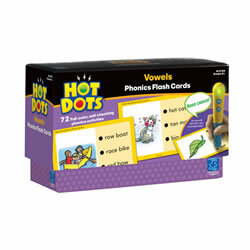 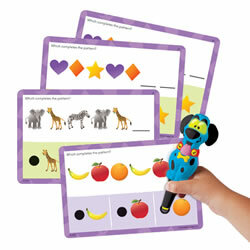 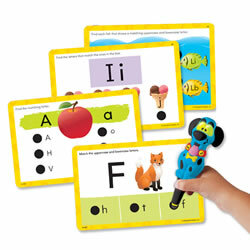 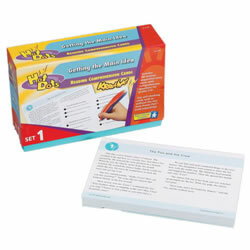 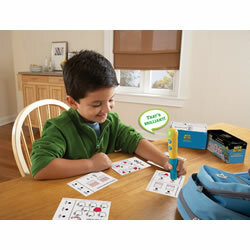 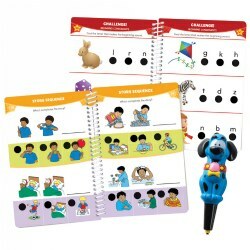 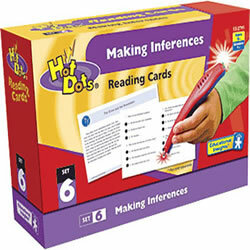 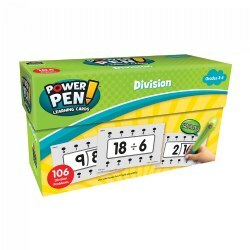 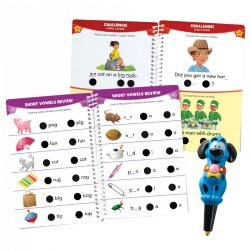 Hot Dots® are a fun way for children to test their knowledge using a power pen or a Jr. 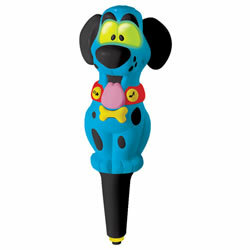 Pen (dog pen) that talks, lights up and makes different sound effects when they guess at a question. 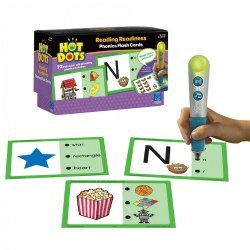 Preschool children use Hot Dots® Jr. to get ready for school with cards that teach the alphabet, counting and numbers, shapes and colors, and beginning phonics. 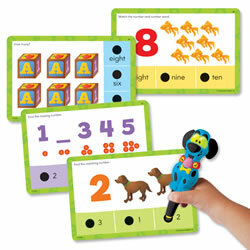 School age children work through the numerous card sets to learn phonics, math, science, and more. 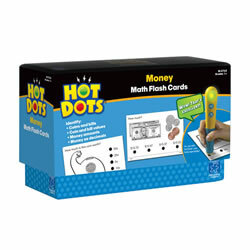 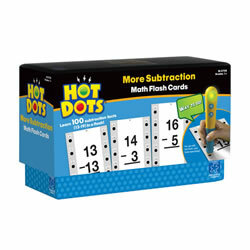 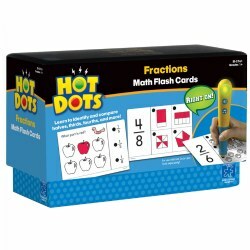 Kaplan Toys carries both Hot Dots® and Hot Dots® Jr. sets.